If you travel to New Zealand in the Waitaki and Otago area, and in need of affordable accommodation, Avenue Motel is located not too far from Oamaru town. There are 10 rooms available all in all, and they are all located in ground units. This Oamaru motel is very convenient as you can just park your car right in front of your room door and you don’t have to get wet and cold if the weather is bad. The location of this Oamaru accommodation is quiet and there is a supermarket and eating establishments nearby. 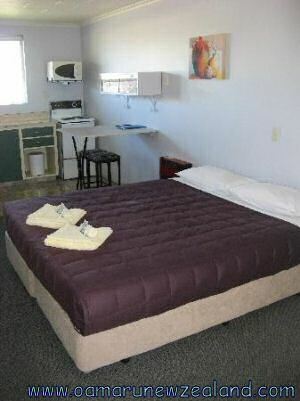 The Avenue Motel Oamaru offers are 3 kinds of rooms – studio, one bedroom and 2 bedroom units. Rooms are spotlessly clean and most of them come with fully equipment kitchens with microwave and fridge. The rooms have 4-channel Sky TV, heater, electric blankets, hairdryer, iron and ironing board, phone and Zenbu wireless Internet – all that you need during a comfortable New Zealand holiday. All rooms are serviced on a daily basis. 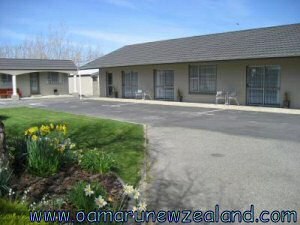 Rates of this cheap motel are from NZD75 to 170 and seasonal rates apply.